← Tender Touch Open House! 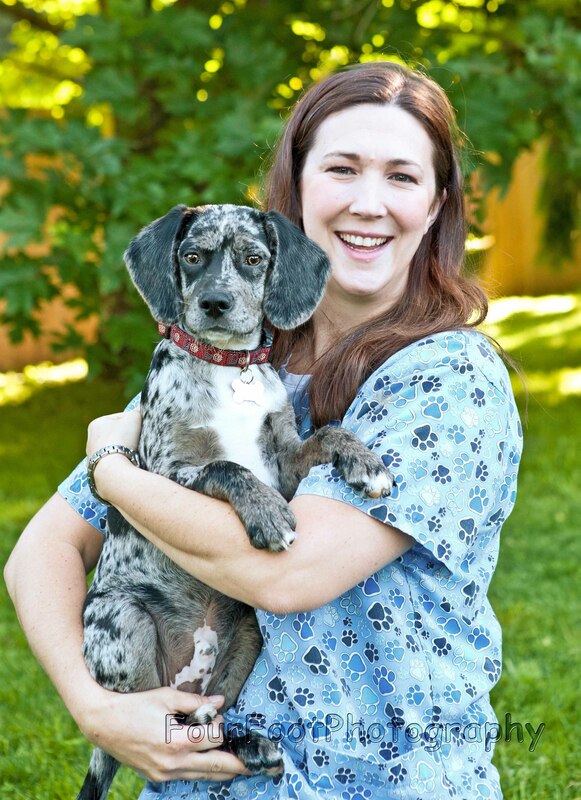 I so enjoyed taking the staff pictures for Tender Touch Animal Hospital! Dr. Monica and her staff are kind, professional, caring ladies I feel privileged to have met. 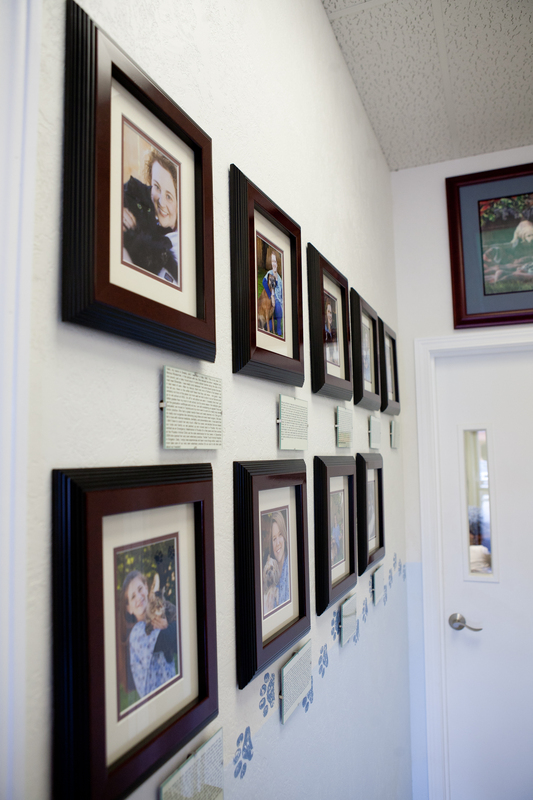 Poulsbo Animal Clinic as the sole veterinarian for four years. 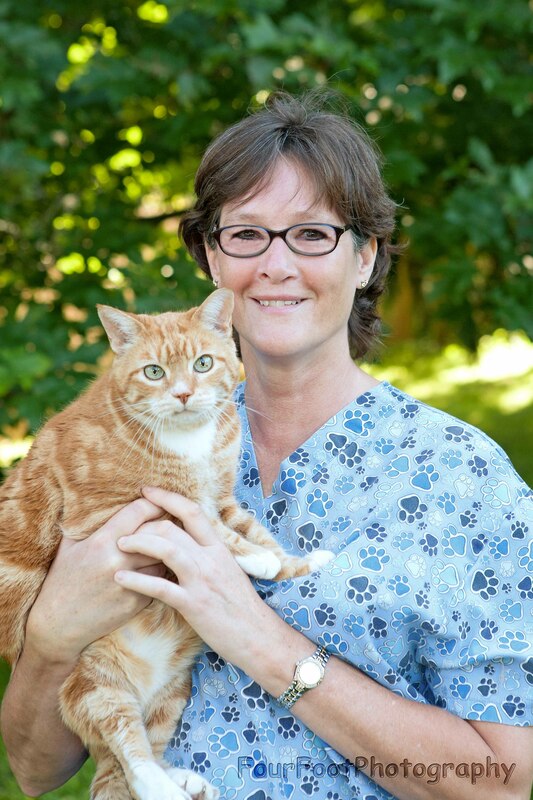 In December 2009 she opened her very own veterinary practice, Tender Touch Animal Hospital, in Kingston. Daily, I enjoy new experiences and learn more things while I watch my mom take care of our very own veterinary practice (It’s so cool to tell other pets about our hospital)! Hello! My name is Lois, and I am in this picture with my brother, Bruce! My Claire took me home when I was three months old; I had a rough puppyhood, and she has been helping me become a good dog ever since! Bruce likes everyone; I think he’s nuts, but we are inseparable. My Claire has had him since 2005; wow, that’s a lot of dog years!! We both like to chase squirrels and lounge on the floor with the sun shining through the windows on us. Sometimes my Claire and Josh (her partner in crime) take us to the beach and go hiking! That is our favorite thing to do. Our family just keeps growing, my Matthew was born in December 2010, and it has been fun watching him learn how to sit by himself! I learned how to “sit” a long time ago in puppy class, and I don’t see why my Claire makes such a big fuss over Matthew doing it. My Nathan was born in April 2009 and, oh my goodness; he will throw a tennis ball for hours! Kids are soooo much work; we are doing our best to teach them to be good dogs, but I don’t know if they’ve got what it takes. My Claire also said to mention that she is looking forward to becoming certified in animal massage therapy so she can give us pups lots of hugs and rubs and loves! Hello my name is Gizmo, and this is my mom, Jessica, in the picture with me. I found her in 2002 when I was born and left to fend for myself near Safeco Field. Thankfully, my mom was able to adopt me from the Humane Society and helped me heal because I was very sick at that time. Since then it has been one adventure after another with my mom. I live with another cat named Ashleigh. She opted not to pose with us because she is too shy. Ashleigh and I hang out together at home while mom goes to work. I spend most of the time sleeping on my very own pillow and knocking things over with my tail (really they shouldn’t be in my way to begin with). When mom is home, I get as many belly rubs as I deserve on a daily basis, and visit with all the company that comes to see me (mom just thinks they are there to see her, but I don’t have the heart to tell her the truth). When I get bored, I might play with my Mariner Moose (aka my baby) or splash around in the water for awhile. My only job is to wake my mom in the morning for work which I do with sloppy kisses on her face (she loves it)! Then of course I get rewarded with love and food. 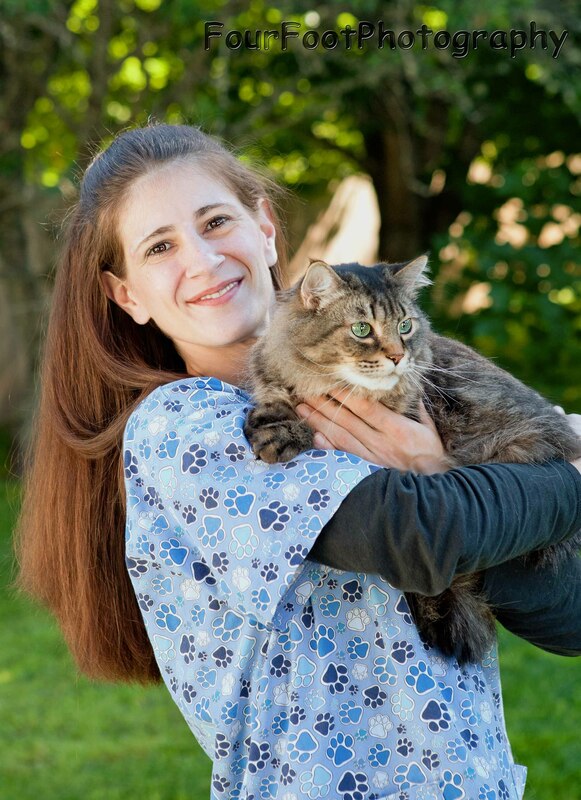 Mom has been working at Tender Touch Animal Hospital since February 2010 and really loves learning all about cats and dogs. She is a veterinary assistant and especially likes to help the sick pets get better so she see them come back again when they are all healthy. Hey everybody! I’m Sebastian, and boy I’m glad I found my mom, Rachel! She and I met at Tender Touch Animal Hospital, fell in love with each other and now I am a part of her “gang”. The gang also includes Logan, a German shepherd mix, TJ, a Bernese mountain dog mix and of course, the cats, Tula, Andy and Danny. I just love them all and could spend hours giving them kisses and playing with them if they would only let me. My mom, Rachel, and my dad, Kyle, have given me a really big job. I have been instructed to teach my two girls, Abigail and Caitlin, how to have FUN! They are very special to me and are the smartest kids I have ever seen, not to mention that they are beautiful too. I just love to get treats out of my special Kong toy, and someday I will teach them how to help me do it! It keeps me busy and out of trouble. After my mom served eight years in the U.S. Coast Guard, she decided to pursue a career in the veterinary field. 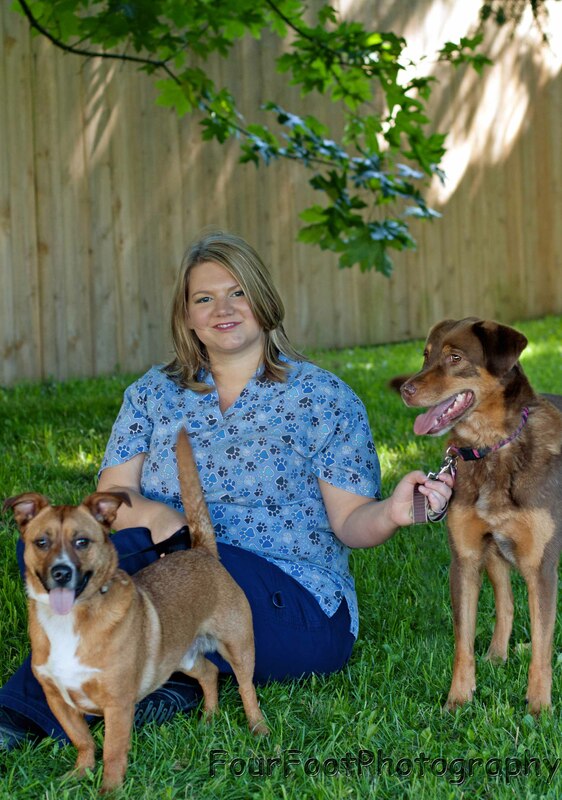 She attended St. Petersburg College online where she earned an Associate of Science in Veterinary Technology in 2008. 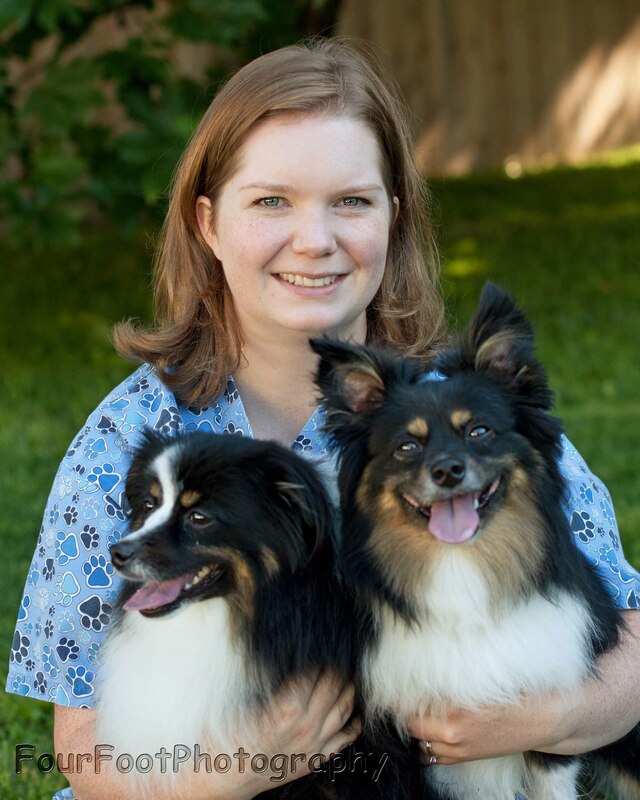 She became a licensed veterinary technician in May 2009! My mom likes learning about and teaching animal behavior and pet nutrition, which is a good thing because raising a dog like me takes a lot of smarts in both areas! Well gosh, hello there! I’m Diesel and I’m the best dog in the whole world! At least, that’s what my mom, Amanda thinks; she’s the one in the picture with ME! I live with another big dog, Bear, and we love to play fetch and destroy tennis balls together. I LIVE for tennis balls. I don’t want treats; don’t want belly rubs; just tennis balls!!! My mom and dad, whose name tag says “Baylon,” have been adding non-furry, two-legged girls to the family lately. Tierney and Rowan are their names and they are the cutest girls I’ve ever laid eyes on, even though I could be biased! Since my mom has always loved animals, she decided to become a veterinary assistant. She attended Pima Medical Institute and graduated with honors in October 2005. 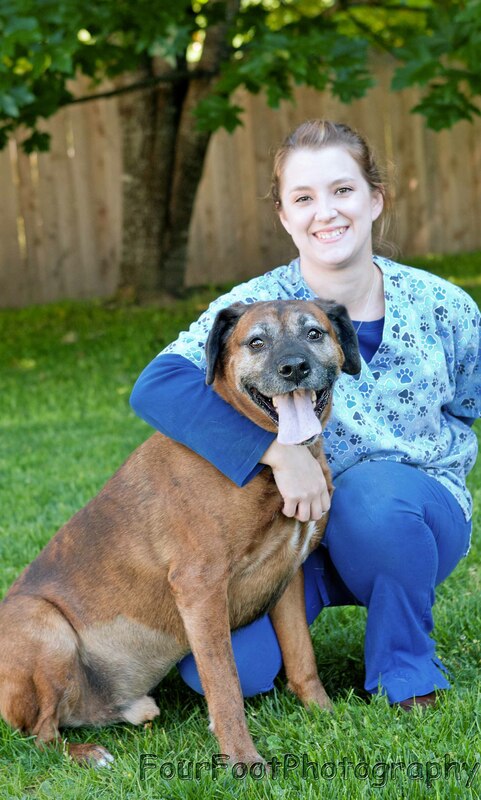 She is now working to get her veterinary technician license. Currently, my mom works really hard at this great place called Tender Touch Animal Hospital. I don’t have to visit it very often; I eat good dog food and exercise daily so I usually need my teeth cleaned once a year! But when I do go to the hospital, it is fun to watch my mom at work. She really likes taking care of animals and learning everything she can, but she is most interested in pharmacology (wow)! Hello there, my name is Bud, and I am very proud to be in this picture with my wonderful mom, Holly. My mom gives me all the attention that I need, and when I am not getting enough, I let her know by patting her on the face. I reward her with a lot of purring and kneading wherever and whenever I can. Occasionally when I get mad because my mom is not paying attention to me, and I will chase her down and grab a hold of her ankle. After all I am the one in charge and I must not be ignored! My mom is great because she brings people over to the house all the time just to visit me. I like to sit in the sun and have them admire my handsome hair coat and pet me on occasion too. Visiting with people became such an obsession that I would visit the neighbors and not come back home for days. Well, I guess mom loves me too much to share me for such a long time, she got this Invisible Fence put up and now I stay in the yard or house and wait for people to visit me. If people don’t show up, it just gives me an excuse to tackle mom’s ankle more often! When people aren’t visiting, mom and I like to garden and read together (I never get in the way but she is always pushing me off of the newspaper or book for some unknown reason – so picky)! I have this exclusive spot in the garden where I can just lay out and enjoy myself. Mom loves to swim and sail, but I don’t do those things with her after all, I am a cat; what is she thinking? My mom started working at Tender Touch Animal Hospital in February 2010 as a receptionist, and she really enjoys getting to know people and their pets. She likes to interact with the people and their pets; sometimes I even get just a little bit jealous of all the attention they receive! Hello my name is Odie, and this is my mom, Stephanie, in the picture with me. For the most part I am a really good boy, but I know when I am not so good because that is when my mom calls me “Otis Spunkmeyer”! My start to life was not so pleasant, but when I was just about to give up all hope I was rescued and taken to a shelter where I met my mom. She brought me back to the Indianapolis Vet Tech Institute where she was attending school at the time, and got me all fixed up. I have been very lucky in life because my mom has been able to take such good care of me. Since then I have decided that adoption was the way to go and have gladly stayed with my mom even during the move to Washington State where it rains way too much in my opinion. Mom and I like to go camping, fishing, and walking on the beach – yes, I even take her out in the rain too. I also live with my sister, Bitty, the kitty. Since she is just a cat and my sister, I don’t have too much interest in her. What is it that they say; dogs rule and cats drool? At any rate, my mom joined the staff at Tender Touch Animal Hospital in May 2011 and has been very happy to be working there ever since. I get to visit as often as I please, and I really think that if my mom had a tail it would be wagging all day long at work! Hello, my name is Lucky, and I am the small dog in this picture with my mom, Ann Marie, and my older and bigger sister, Betty. We make up part of our whole family which includes my dad, David, and the three cats, Lina, Tigger, and Piper. I sure feel fortunate to belong to this family because I was rescued by my mom at the last minute from an animal shelter. My mom has always loved animals and does a lot of rescue and fostering work. 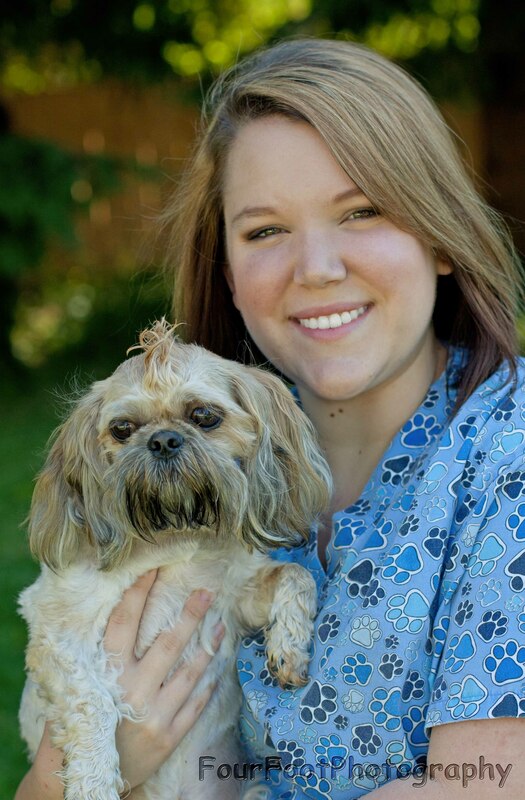 In May 2011 she started working at Tender Touch Animal Hospital and enjoys learning all about dog and cat medicine. She has a really cool job because she gets to meet all of the pets and people as they come in the front door. I think I would like a job like that except my mom says that I get into too much trouble to hold down a full-time job. I really do try to be a good dog, but sometimes my selective hearing gets me in trouble. So instead of working, I will have to chase the ball, watch birds, and play a good game of tag with Betty, occasionally biting her ankles (don’t tell mom). I also have to listen to Lina lecture me, watch Tigger sleep all the time, and stay far away from Piper so she doesn’t give me “what for”. I will still be able to look forward to my favorite time of day which is feeding time, YUM! And of course I can still indulge my only other obsession, catching butterflies. Every time I see one, I try to jump up and get it, but for some reason they are always just out of my reach. One day….. Hey, maybe this job thing is not such a good idea, I think I’ll leave it to my mom and stick with what I’ve got! Hello, my name is Linus, aka “Don’t Eat That”. 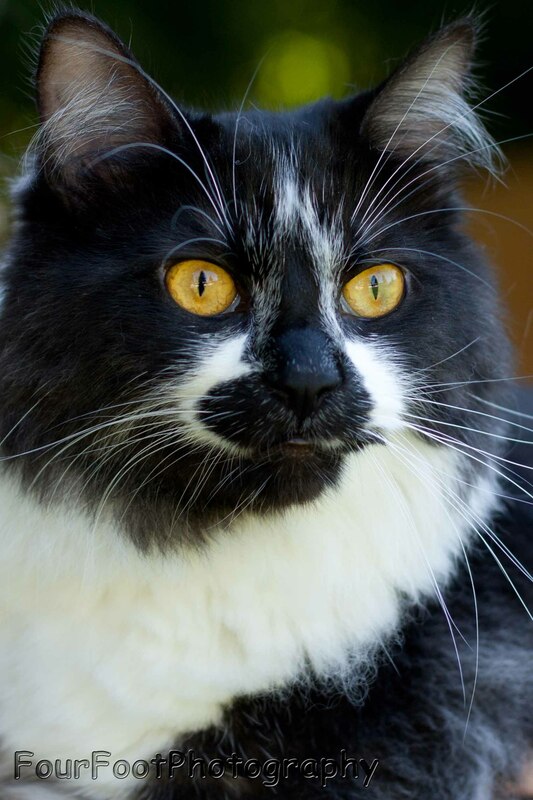 I was born in May 2010 and rescued shortly thereafter by PAWs of Bainbridge Island. When I first came to Tender Touch Animal Hospital, I weighed only three pounds! I was with all of my brothers and sisters, and we were here to get “fixed”. I didn’t think we were broken, but apparently we still all needed to be “fixed”. After being “fixed”, I was taken to the PAWs adoption agency to find my new home, except something went terribly wrong. Once there for a couple of days, I started to have a fuzzy head and then all of my muscles would tremble, and it was really scary. It kept happening so I went back to Tender Touch Animal Hospital where Dr. Monica said that I was having seizures, YIKES! I still couldn’t tell you what that means, but I never went back to the adoption facility. Instead, Dr. Monica and her staff decided they couldn’t live without me, and I became the clinic cat. I had to start taking two different medications to control my seizures, YUCK is all I have to say! I was growing so fast and changing so much that it was difficult to get my seizures under control, but eventually Dr. Monica was able to stabilize me. I have some long term coordination problems and lost some eye sight, but even though I am a little clumsy, I sure know how to have fun, and I’m never afraid of trying new things. 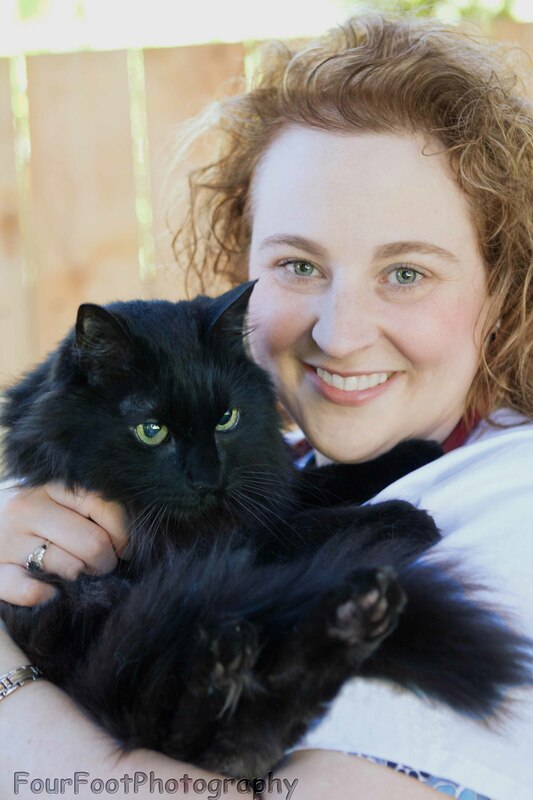 I get to spend my time here at Tender Touch Animal Hospital as the clinic cat during the day, and then I get to go home with Dr. Monica at night and on the weekends. I have several duties at the clinic such as, keeping the chairs warm, being ready to give love to the employees at any time, keeping the office occupied to make it look like work is being done even when no one is in there, and inspecting the equipment. Although, for some reason I tend to get told “NO” if I am inspecting equipment. Sometimes people just don’t appreciate my skills!